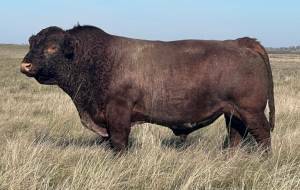 Finally an outcross bull with great numbers and the look to back it up. Ripper Combines some great sires including Saskvalley Bonanza, Saskvalley Task Force, and Eionmor Marquis. 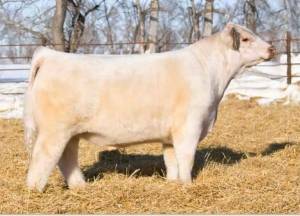 His dam is nearly perfect uddered and is the perfect wedge shaped cow. 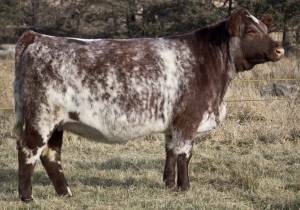 Ripper offers tremendous calving ease with exceptional growth and eye appeal. He his deep bodies, bold sprung, deep quartered with big testicles. Use him with confidence on heifers and cows alike. He is in the top 5% for $CEZ, 1% for $BMI, and 10 % for $F. It is very rare to find one like this. 5.5 Frame.